The launch of PlayStation VR is right around the corner but before you drop the money on the VR headset, you should know what you’re getting into. While the price of the PlayStation VR headset is advertised at $399.99, you’ll actually want to consider getting some accessories to get the full VR experience. Here’s everything you need to get started with your new PlayStation VR system. The PlayStation VR bundle is currently sold out at most retailers, but consider this some preparation so you’ll know what you’ll need when you get a chance to order one. Before we launch into the all the accessories you’ll want for your PS VR experience, you should know that if you don’t already own the PlayStation Camera or any Move controllers, it’s cheaper just to buy the $500 PlayStation VR Launch Bundle than to get everything individually. The PS VR Launch Bundle includes the headset, two Move controllers, PlayStation Camera, and a VR demo disc. 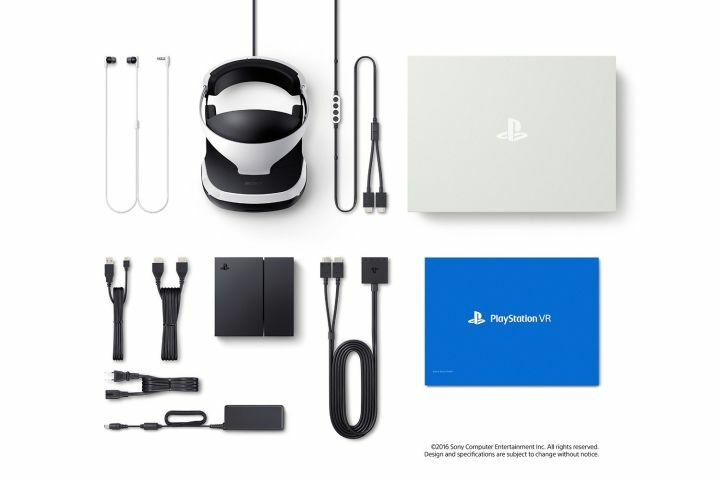 If you already own some of that gear, or you just can’t find the bundle in stock, you will be able to buy just the PS VR headset by its lonesome, but like the bundle, it’s currently out of stock. The PlayStation VR is pretty much useless without the PlayStation Camera, which costs $59.99. The camera is necessary for positional tracking, which lets you move your head and hands around in virtual reality. What if you have the older, rectangular looking PlayStation Camera from 2014? Then you’re all set in the head tracking department, as Sony has confirmed that it works just as well as the newer model. If you really want the full experience of using PlayStation VR, you’ll have to pick up a pair of PlayStation Move controllers. Sony just reissued them in arather pricy $100 two-pack, but luckily Amazon still has them individually for $35 each, and refurbished ones are only $27. 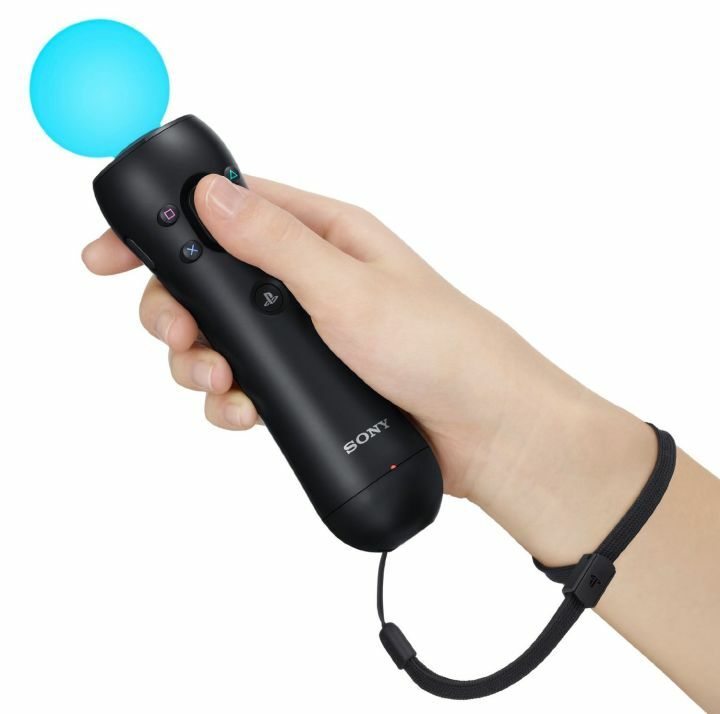 The PlayStation Move Controllers allow your hands to be tracked in VR, making VR much more immersive than playing with just a DualShock 4 controller. The PlayStation VR requires a jumble of accessories, so you’ll need a way to store them and keep them charged. PowerA has an awesome dock that lets you wirelessly charge two PlayStation Move controllers and a DualShock 4 controller. 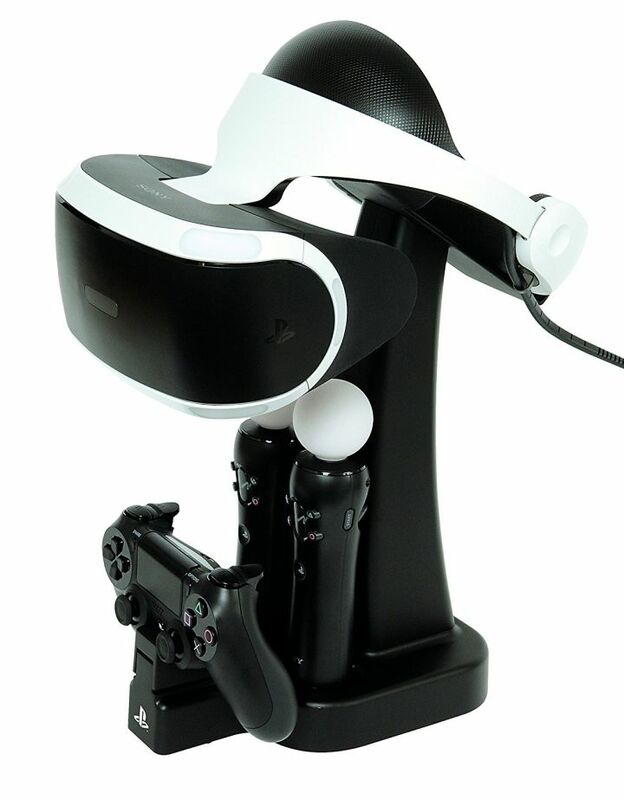 It also features a stand for your PlayStation VR headset on display and (hopefully) out of harm’s way. Sony and Plantronics partnered to create the Plantronics RIG 4VR, a gaming headset that’s designed to work with PlayStation VR. Positional audio is extremely important for VR, and this headset will give more immersive 3D sound. And at $69, it won’t break the bank. Since Sony and Plantronics know you’ll be spending hours in virtual reality, the RIG 4VR was made with comfort and lightness in mind. The headphones go over your ears and the cable from the headphone is angled away from you, making it harder to accidentally wrap yourself around it. Yes, it’s a wired gaming headset, but the PlayStation VR currently only supports wired headphones for positional audio. You’ll need to plug in headphones into the PlayStation VR’s inline remote. 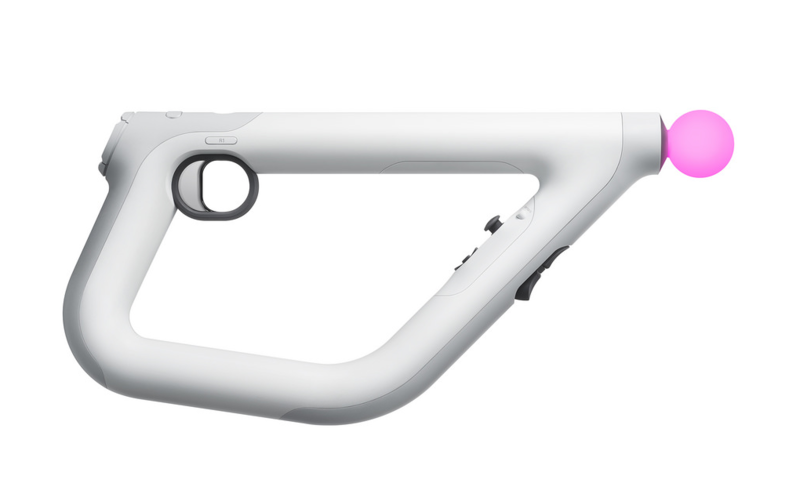 The PlayStation Aim controller was revealed at E3 2016, but it won’t be available until January 2017. It’s a bummer you won’t be able to get your hands on this VR gun accessory until next year, but you can look forward to its 1:1 precision tracking, which is extremely important for shooters. If you have dreams of being a race car driver, you’ll need a proper racing wheel for VR racing games. The Thrustmaster VG T300RS isn’t cheap, but it gives you force feedback for realistic steering feel and wheel-mounted paddle shifters. 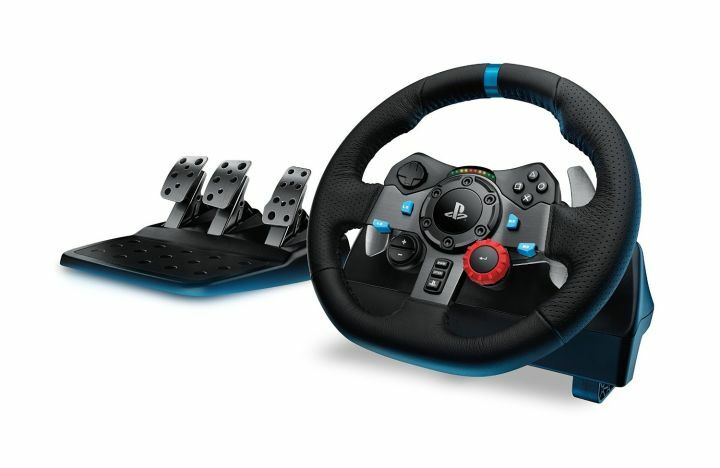 It’s designed for the PlayStation 4, so you don’t have to worry about remapping controls to work with your console. 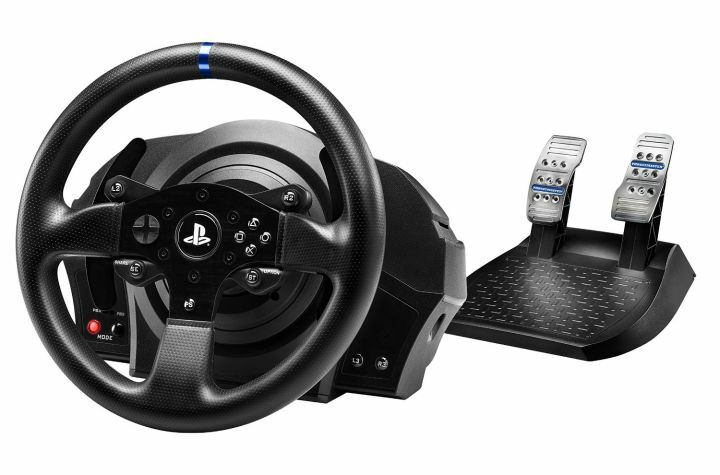 If you want a racing wheel that’s a little bit more affordable than the Thrustmaster, check out Logitech’s Driving Force G92 race wheel. 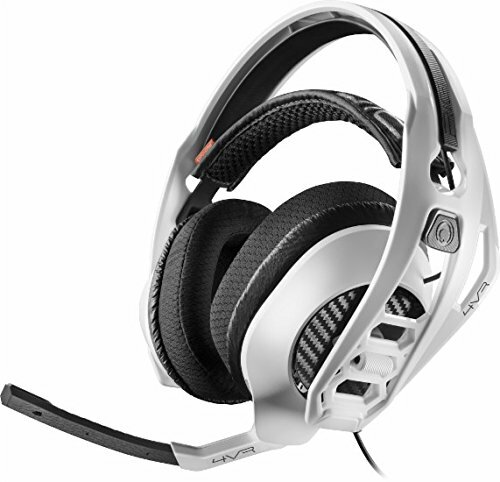 It’s also designed for the PlayStation 3 and 4, so you don’t have to worry about incompatibilities. Like the Thrustmaster, the G92 features force feedback and wheel-mounted paddle shifters. There’s even a fancy shift light in the center of the steering wheel, giving you another visual indicator for when to shift. If you want to simulate driving a stick shift car, you can purchase the Driving Force Shifter accessory to use with the G92.